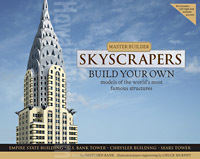 Build your own Empire State Building! 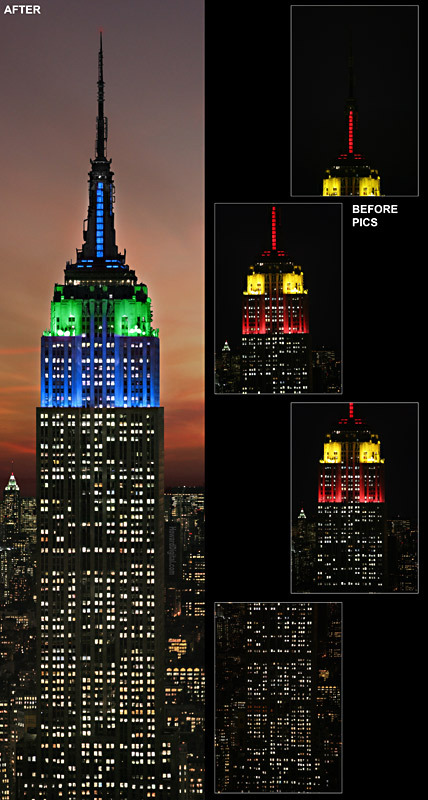 See more of the Empire State Building in the Photography Gallery! After ordering your photo retouch from Howard Digital, we will begin 3d modeling the project and email you multiple views. You can choose from these views for your photo retouch or give us feedback from which we will generate additional views to send you. 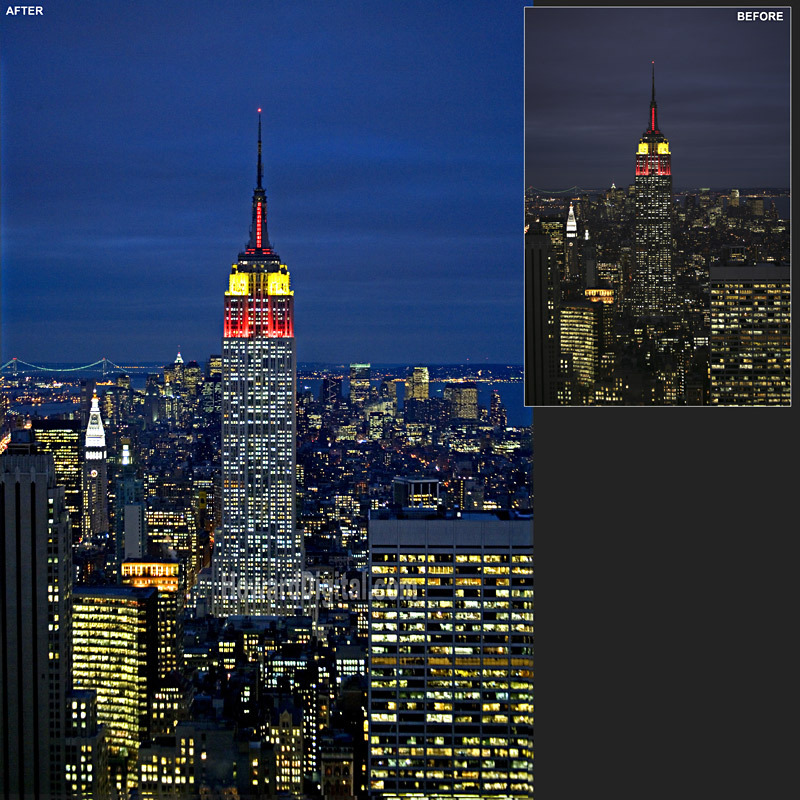 While we are nailing down the view for your photo retouch, we are concurrently applying color, texture and lighting to the photo retouch which you also will be giving us feedback on. This process continues until you have approved the rendering view and palette. Depending on how quickly the palette is approved, we may have already prepared a first round on the entourage for your digital enhanced photo. Feel free to look through our digital content library for ideas on skies and landscaping for your photo retouch. We want you to come back to us again and again for your rendering needs. The best way for us to do that is to perform fabulously. While most of our clients request the final digital enhanced file format - which we email or post to our ftp site, we are more than happy to print your renderings out and overnight them to you. 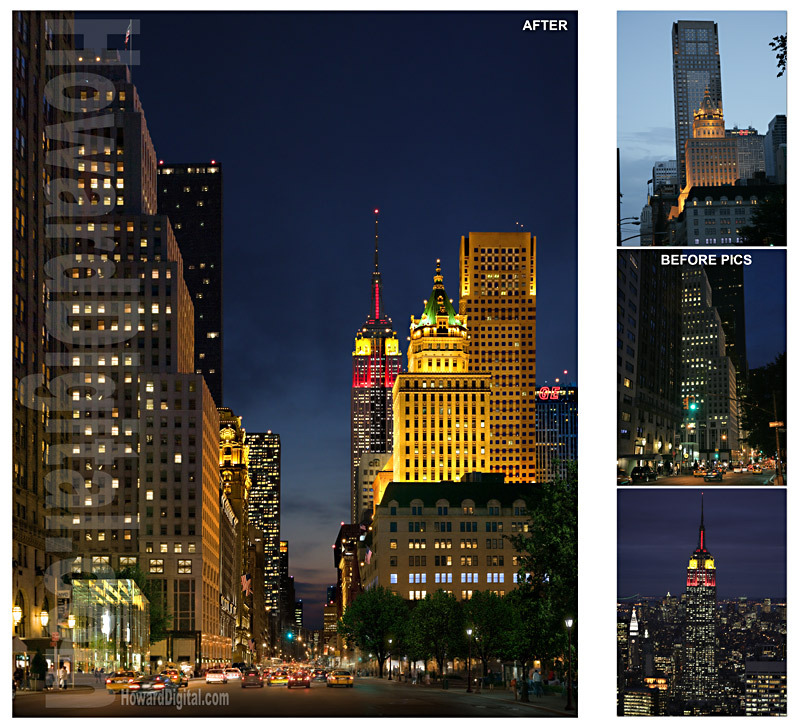 Your photo retouch can be completed in 2-3 weeks or less. Call or Email for more information.